Join the discussion on our forums! Come discuss Bronze Herald over in our dedicated Bronze Herald discussion topic. This is why you shouldn’t shoot the messenger. 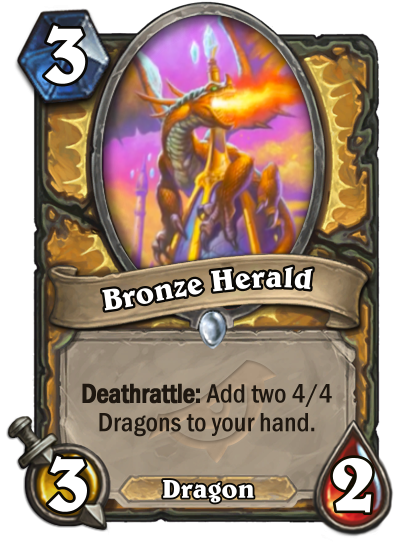 The 4/4 dragons are most likely 4 mana. Seems expensive to play this, although Dragon Speaker exists now. Not enough support yet it seems.